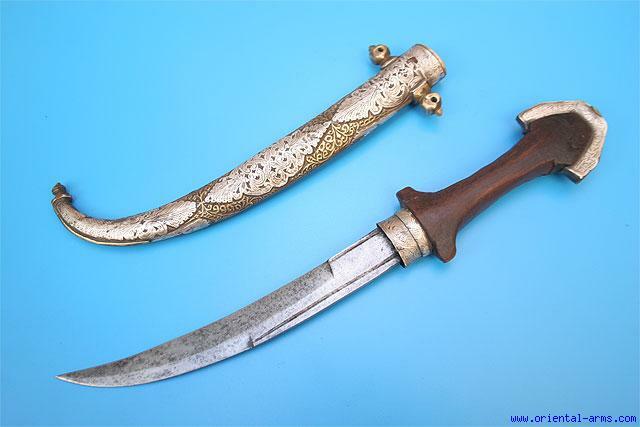 Up for sale is this good Moroccan dagger, early to mid 20 C., simple but authentic (Not a touristic item) of classical Koumaya design with good curved blade 8 � inches long. Brass scabbard finely chiseled and covered with thin silver panels very nicely pierced and engraved. The handle is wood with silver / brass pommel. Total length 15 � inches. Very good condition. Very Low Price.